Metamucil Fiber is a “4 in 1 multi-health fiber”. The original version comes in the form of a coarse powder that has to be added to a glass of water and consumed as a drink. The fiber provided by Metamucil comes from psyllium husk powder. There are no other active ingredients. Psyllium husk powder is obtained from the seeds of the Asian plant plantago ovata, also sometimes called ispaghul and desert Indian wheat. As with any form of dietary fiber, psyllium husk is an ingredient the body cannot digest. It passes through the body without releasing any calories or nutrients. Dietary fiber can also be obtained from fruit and vegetables. Wholegrain food is another good source and the presence of fiber in the digestive system makes the digestive organs work very hard. This forces the organs to become stronger and makes them more resistant to disease. We review hundreds of fat burners, fat blockers, carb blockers and appetite suppressants. Experts at the Mayo Clinic state dietary fiber is essential for good health and point out it has the ability to bulk the stool making it easier to pass, thereby decreasing the chance of constipation. Other fiber benefits include lower cholesterol levels, slowed sugar absorption, and appetite suppression. So the claims the manufacturers make for Metamucil can be fully supported via a reliable source. Recommended Dose – new users should begin by mixing one rounded (5.8g) teaspoon of Metamucil with 8oz of water and drinking the resulting solution once per day. This is intended to give the body time to adjust to the extra fiber. When the product is being used as a hunger suppressant, the normal dose is two rounded teaspoons up to three times per day. When being used for any other reason, including the occasional treatment of constipation, the recommended dose is one rounded teaspoon, taken up to three times each day. Psyllium husk was one of two ingredients used in a study intended to determine the relation of gas passage and abdominal bloating to gas production in the colon. The results of the study show consuming psyllium husk increases the chances of intestinal gas and bloating. Customer reviews suggest many Metamucil users have already experienced this kind of negative reaction, so we suggest all potential users seek medical advice before trying to boost their fiber intake by using this product. You can buy Metamucil from most good pharmacies. Many stores, including Walgreens and Walmart, are Metamucil stockists as well. There are also plenty of options if you want to buy it online, but the price per pot can vary a lot. We’ve seen it being sold for as little as $13 per pot. We’ve also seen it priced at $32 per pot. Metamucil customers are not provided with a money back guarantee. As a weight management product, Metamucil leaves a lot to be desired. Although it may have some level of value as a hunger suppressant, it does not offer dieters any of the other benefits that are normally obtained by diet pill users. 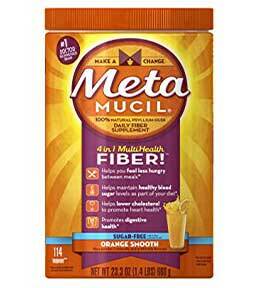 Metamucil does not boost the metabolism or encourage the body to burn extra calories. Nor is it capable of increasing energy levels, blocking fat, initiating thermogenic fat burning, or providing any other form of weight loss support. The product will probably come into its own as an occasional treatment for constipation and it will, no doubt, do all of the other things they claim. However, it also has the potential to cause side effects and, as the Mayo Clinic health experts so rightly point out, the best way to improve fiber intake is to start eating more high fiber food. 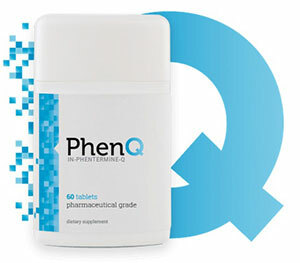 PhenQ is the highest rated diet pill for 2019 – It is a multi action, multi benefit diet product. Helps fight fatigue – a big reason why diets fail! 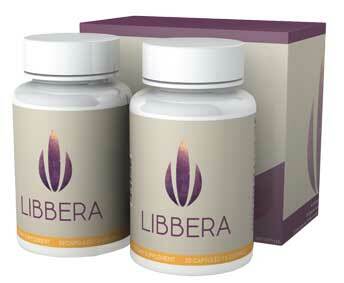 A lot of people have contacted us asking for a Libbera diet pill review. We were happy to oblige, but it turned out to be a difficult product to evaluate. For one thing, the official website does not provide much information about the pills. It also lacks an “about us” page, so we found it difficult to find out who is responsible for bringing the product to market. 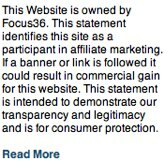 The terms and conditions page also proved hard to find. It is only accessible from the order page, but once we found it we managed to discover the pills are marketed by Obesity Research Institute. The company is also responsible for Lipozene and, like Libbera it’s a glucomannan powered appetite suppressant. We did some further digging and discovered Obesity Research Institute also used to market two other glucomannan products. One was called Propolene. The other was called FiberThin. The marketing campaigns for both products involved the use of television infomercials. The same can be said for Libbera and Lipozene. We think it is likely that the company only has one product and markets it under a number of different names. The only active ingredient identified is glucomannan. Its a plant extract that can absorb large quantities of water. The hydration process causes the plant fibers to expand. For this reason, glucomannan-providing supplements have to be taken with plenty of water. When the fibers expand in the stomach it suppresses the appetite and allows the supplement user to eat less food without having to suffer the customary hunger pangs. The ingredient has proven abilities, but the European Food Safety Authority states it has to be used in conjunction with a calorie-reduced diet. The FSA also states 3 x 1g doses are necessary, one before each of the main meals of the day. Extensive online searches failed to unearth any customer reviews or testimonials. However, we did discover numerous complains about Obesity Research Institute and their other product, Lipozene. The company has also had a run in with the Federal Trade Commission, for making misleading claims that violated federal law. Glucomannan is unlikely to cause side effects, but Libbera will not be suitable for women who are pregnant or nursing a child. Anyone who has existing health issues should get a doctor’s advice before using Libbera or starting any form of new weight management routine. People who are using medication will also need to seek medical advice prior to starting to supplement their diet with Libbera. Libbera appears to be exclusive to the libbera.com website. The price is $29.95 per bottle and Obesity Research Institute seem to have an ongoing offer that provides customer with two bottles of pills for the price of one. The company also offers customers the chance to buy Libbera via autoship. We advise against using this option because a fresh consignment of pills is shipped every month. Such arrangements are generally more trouble than they are worth and can often be difficult to cancel. Obesity Research Institute promise a 30-money back guarantee. Obesity Research Institute make three claims for their product. Only two of them hold water. It’s true that glucomannan has the ability to suppress the appetite. It can also lower cholesterol levels, but the EFSA state it is unlikely to alter blood sugar levels. However, the fact of the matter is, glucomannan is a very good appetite suppressant. The only problem is it is unclear if Libbera provides the necessary amount. We think it is probable that it does, but when we zoomed in on a picture of the label we discovered each bottle only provides 15 doses. If three doses are needed a day, and it seems likely this will be the case, a bottle will only last five days. This will make Libbera an expensive product to use. Our recommended product, PhenQ, would prove to be much cheaper and it offers a combination of appetite suppression, fat burning, fat blocking, and several other benefits. Better still, thousands of customer reviews prove it delivers the goods. Libbera simply cannot compare.